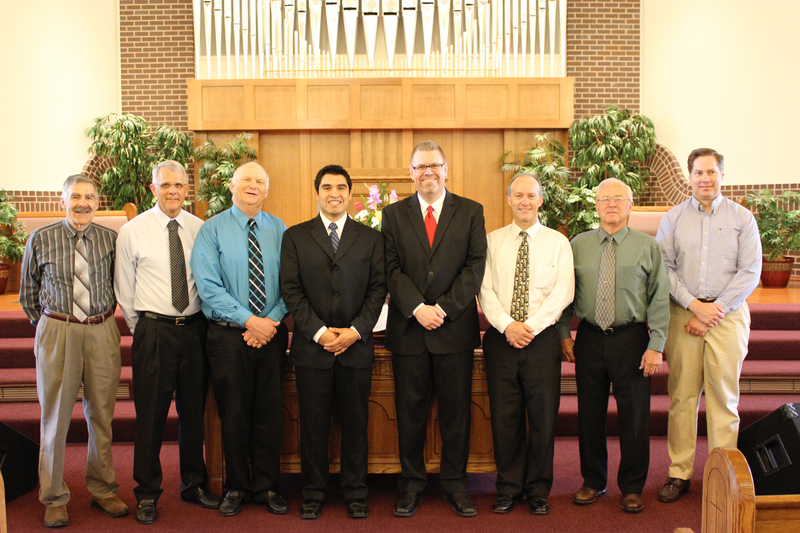 Angelo Contreras was ordained as Pastor of Congregational Life on April 22, 2012, at Zion United Reformed Church in Ripon, CA. The two men meet every Tuesday morning to discuss visits and events in the life of the church during the upcoming week. Although there may be some areas (such as visitation and evangelism) where their work overlaps, Rev. Efflandt will focus primarily on preaching and teaching while Rev. Contreras will focus more on specific age groups, particularly the young adults. Zion URC approved a second pastor position in 2004, but had not re-filled the position since Rev. Michael Schout accepted a call to Grace URC (Alto, MI) in 2008. After prayerful deliberation, the Zion council decided in January of 2012 to re-implement the second pastor position. Rev. Efflandt explains the reasons behind the decision. The Zion congregation currently consists of about 100 families. Sunday worship services are held at 9:30 am and 6:00 pm in the church at 1220 Canal Blvd. in Ripon. Rev. 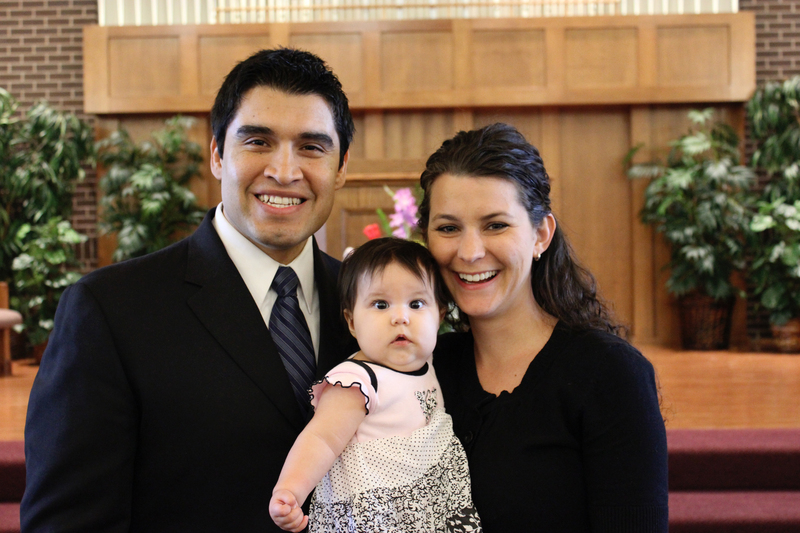 Contreras is a 2011 graduate of Westminster Seminary California who sustained his candidacy exam in Classis Pacific Northwest on October 18, 2011. He and his wife, Trista, have an infant daughter, Aletheia. The above article by Glenda Mathes appeared on pages 11-12 of the May 23, 2012, issue of Christian Renewal. Photos courtesy of Memry Efflandt.